Most people in the world today use the solar calendar but God who created heaven and earth uses only the lunisolar calendar. Whatever Jehovah does, He always makes it according to His calendar! Both Jewish (rabbinic) and Gregorian calendars are different than the Biblical one. The Biblical day is counted from the evening, so feasts in the Gregorian calendar begin in the evening of the previous day. 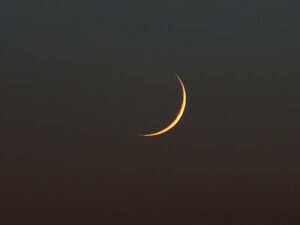 Dates of the feasts can be given only when we know the date of the new moon in the Gregorian calendar, which always shows the first day of the new month in the Biblical calendar, and when we know if the barley that grows in Israel is mature enough ( if not, then we need to add the 13 month). The precise date of the feasts depends on the date of the new moon, so certain dates of the feasts are given approximately. The Jewish feasts are not the feasts Moses ordered us to observe. These are the feasts that remind us of the events from the history of Judah-the Jews when the Northern Kingdom-ten tribes lived in dispersion for a long time. If you are more interested in the Biblical calendar click here.